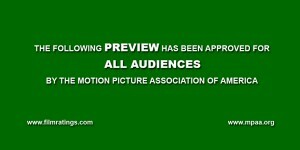 The time constraints on trailers (typically 2.5 mins) usually makes it easy to distinguish the good from the bad. This red band “extended clip” cheats the system by having a runtime of 4:43, allowing for more time and space for the jokes to breathe. That said, this is as effective as can be. All of the gags are allotted enough time to be run-on funny while the plot is laid out. I’m not too familiar with the original series so I may have missed most of the references. As far as I can tell, Captain Dickson (Ice Cube) is the only apparent wink to the audience as he says, “I know what you’re thinking: angry black cat… Well guess what motherf@$%as? I’m black and sometimes I get angry.” I know from the original series that Johnny Depp is taught how to be “bad” by a stereotyped black ex-con. The novelty of Ice Cube calling out the ridiculousness of his role is a nice touch. It’s safe to assume that these guys are going to play with 80s stereotypes and contrast them through a contemporary lens. Let’s just hope they don’t rely too heavily on the nostalgic (i.e. Hot Tub Time Machine) and keep the comedy relevant to today’s audiences. In any case, I think the real draw or repulsion to this film is going to lie in the audience’s love or hate for Jonah Hill and Channing Tatum. Yep, that’s Dakota Fanning sporting the short hair and British accent. This indie flick promises to further challenge her acting chops as she plays a fatally ill leukemia patient that finds first love. The romance looks especially charming and playful in the scene where Tessa (Fanning) pressures Adam (Jeremy Irvine) to jump to her window. With subject matter as heavy as this, I can only assume there will be plenty of humor and cute moments to offset the dramatic circumstances. This trailer does little to promise light entertainment. The rhythmic cutting to “Do You Realize” by the Flaming Lips leaves the impression of a rather heavy love story. The beautifully imagery, smiling people and fun moments do little to balance this feeling, however, the lack of comic relief may be indicating a deeply dramatic film. Also, this might be my own hang up, but Dakota Fanning’s accent sounds pretty rough. Perhaps, I’m too familiar with her that I’m incapable of accepting her as a Brit. Or maybe this accent was a little too ambitious. I’m not sure, I’m not a psychologist. The first 30 seconds feels like an eternity. After some useless channel surfing it eventually builds to a few moments of dialogue and insight into the plot. It’s the story of a terminally ill man named Frank (Joel Murray) who’s on a mission to rid society of it’s most repellent citizens. This absurd film stars Bill Murray’s younger brother in – what I assume is – his first leading role. Unlike Bill, Joel Murray doesn’t seem to have the same on-screen charisma. This may have something to do with the lack of good material. A spot like this feels more like a web series than a film with it’s seemingly single-minded approach. Roxy (Tara Lynne Barr), the teenage sidekick appears to be the only supporting role here. I get it, you kill people that annoy us in our every day lives. That’s all well and good for a 2 minute video. Somehow, I get the impression that 2 hours of this is going to be hard to fill. I implore those involved with this film to put out another trailer that rounds the plot out… that is, if there is more to this story. Citadel is one of the hot trailers for the 2012 SXSW (South By South West) festival. The tone set by the little film is genuinely creepy here. It centers on a man trapped by his agoraphobia since his wife was fatally attacked by feral children. According to Deadline Hollywood, the director, Ciaron Foy, based this film on his real-life experiences of being violently attacked and his subsequent life as an agoraphobic. Foy’s expression of the phobia is apparent in the frenetic shot choices and sound design. The combination of close ups and distorted diegetic sound is reminiscent of an Aranofsky film. This trailer does a good job of putting us into the head of it’s main character, making us question the line between reality, actual threats, and his aforementioned psychosis, the paranoia. On a casting note, Aneurin Barnard seems a bit young to be playing a father and a husband. I’m not sure if this is a Europeanism, an artistic choice, or poor casting. Whatever the case may be this is my first encounter with director Ciaran Foy and I’m excited by the prospect. The latest trailer of Peter Berg’s Battleship is pure spectacle. This is for the Michael Bay fan boys out there. I suppose everyone who’s seen these trailers has already drawn parallels to the Transformers franchise. The mechanical design of the alien technology is laughably similar to the Autobots/Deceptacons and the multitude of explosions and crumbling skyscrapers rings ever so familiar. Speaking of which, why is there any city destruction in a movie based on a naval battle board game? I’ll tell you why, Hasbro wants everyone to know that this IS Transformers. Who can blame them for drawing the connection? Those movies made a ton of cash and their ad campaign for Battleship seems to be working. This expensive turd bucket of a movie is tracking really well. The latest trailer for The Three Stooges offers more plot and no laughs. These jokes are terrible. Dropping a church bell on a nun’s head wouldn’t have been funny in the 30s and it’s excruciatingly flat now. It appears that directors Bobby & Peter Farrelly decided not to update the comedy trio in anyway whatsoever. Instead, they’ve pulled our stock understanding of Curly, Larry and Moe and placed them in the contemporary world. Let’s face it. Most of us wrote this one off before it started, but when word came that Sean Penn and Jim Carrey were attached to play 2 of the roles we reconsidered. Those actors later moved on to other projects and we (I) became skeptical once again. Now that I’ve seen the best that this movie has to offer, it appears our fears were justified. No one wants to see Curly (Will Sasso) try to figure out how an iPhone works. What’s worse, is this trailer uses the standard 90s comedy voice over guy routine to prepare audiences for a zany comedy adventure. This technique is no longer relevant, Farrelly brothers. I’m a little confused by this TEASER for the upcoming TRAILER of Prometheus. It’s sort of sad that this preview has me excited for the next preview but it appears that Fox knows that the Alien fans abound are chomping on every tiny morsel they throw at us. There isn’t much to say about this one. We get a few more glimpses of the film, which is something. It’s short and typical of a teaser – only this time it’s preparing us for more teasing… I can’t wait for the release of the full trailer!